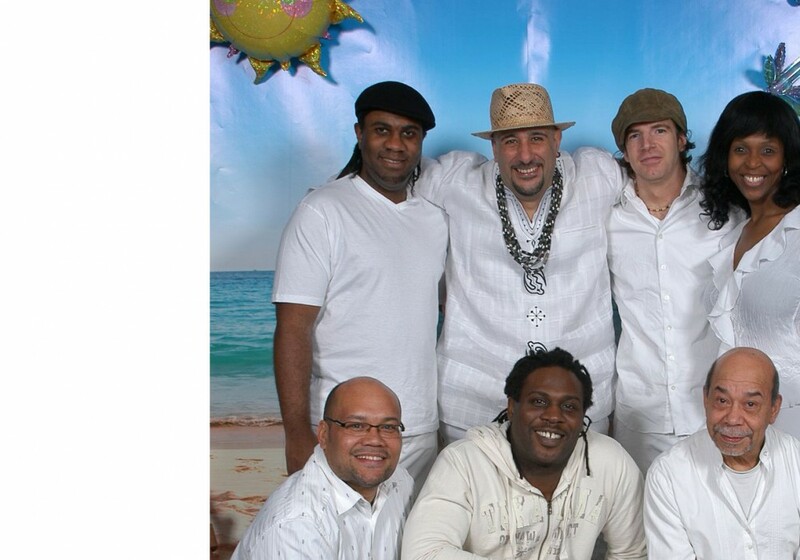 Caribbean, calypso and reggae party band for hire. When you want your party to have a classy professional Caribbean musical flavour to it, We Be Jammin’! are your men (and woman). 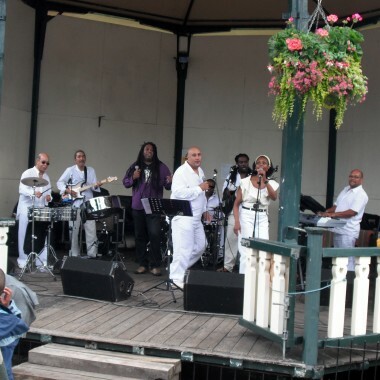 Covering a wide range of classic Caribbean, calypso and popular tunes in a West Indian style, the band also offer well known Latin American and other tropical hits. The client was really happy with the band – they were great, extremely engaging with the guests who enjoyed the evening immensely. The band was absolutely amazing! Listen to We Be Jammin’! When you want your party to have a classy professional Caribbean musical flavour to it, We Be Jammin’! are your men (and woman). 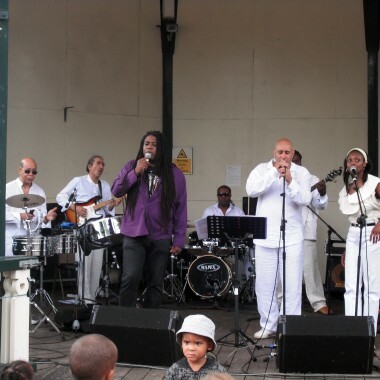 Covering a wide range of classic Caribbean, calypso and popular tunes in a West Indian style, the band also offer well known Latin American and other tropical hits. Steel pans are featured and a lot of smoking reggae tunes are also played, including all of Bob Marley’s classics! 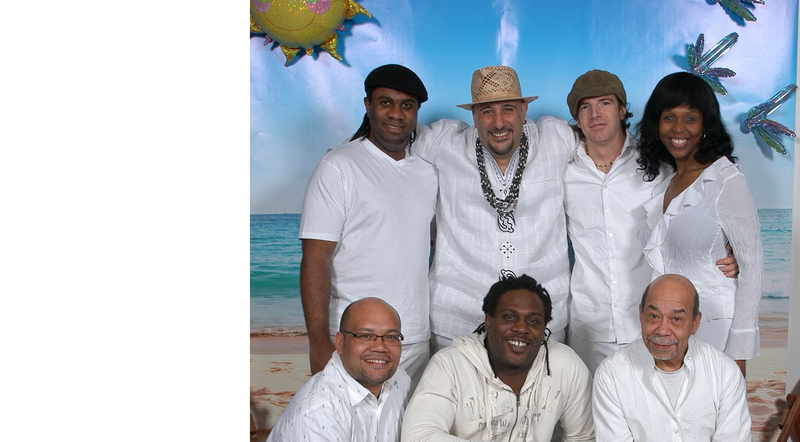 They play all the reggae-pop standards, but they are incredibly versatile and you’ll also hear them perform funky renditions of both classic and contemporary pop and r & b. As such they are suitable for any event, Caribbean-themed or not. And last, but by no means least, they’re a truly ‘live’ band who really know how to entertain with fabulous soloists and a rhythm section that can jam and groove with the very best!